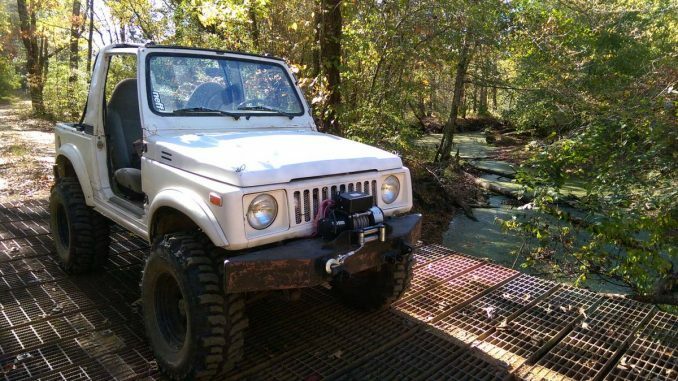 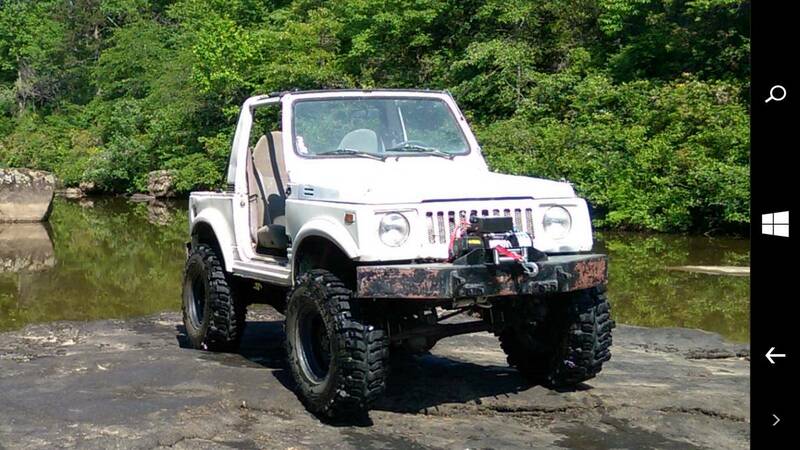 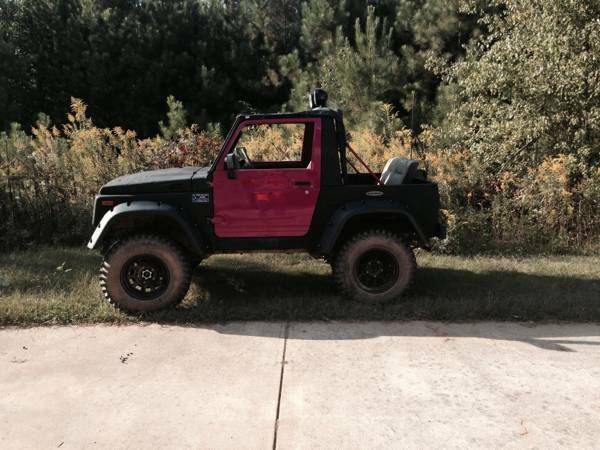 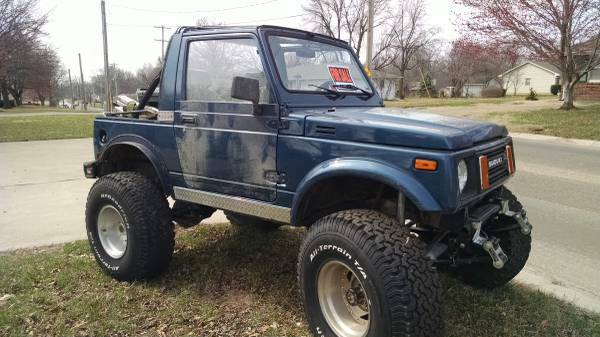 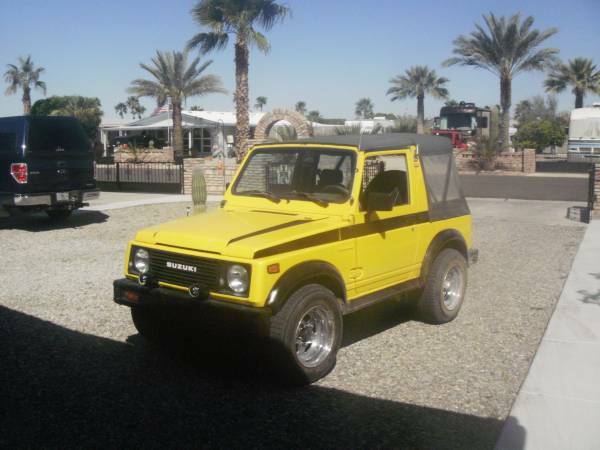 1987 samurai has 1.3 liter with five speed. 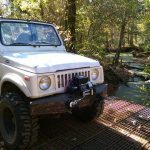 Brand new super swamper bogger tires 1400.00 dollar tires and new winch. 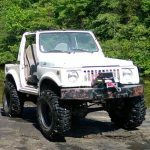 Have doors and some more parts.